The Election Commission last month announced 15 special polling stations would be set up at Kanhmun village at the Mizoram-Tripura border to facilitate voting by Reang refugees. An apex body of NGOs in Mizoram on Tuesday called an indefinite shutdown in the state from April 8 and a boycott of the Lok Sabha election to protest the Election Commission’s decision to set up special polling stations for voters among the Reang tribal refugees. 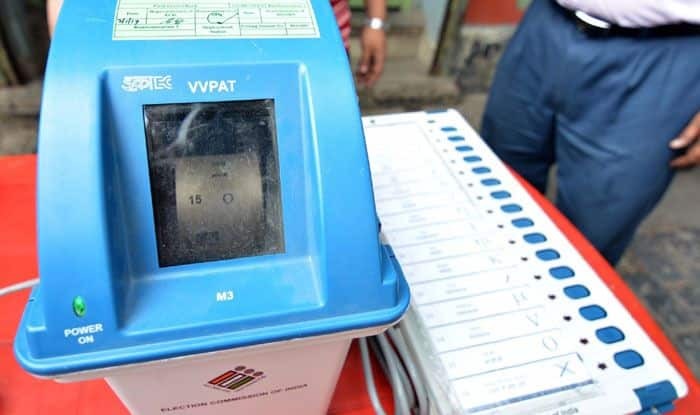 The Election Commission last month announced 15 special polling stations would be set up at Kanhmun village at the Mizoram-Tripura border to facilitate voting by Reang refugees living in camps in Tripura for Mizoram’s lone Lok Sabha seat. Announcing its opposition to the move, the NGO Coordination Committee (NCC) Chairman Vanlalruata said all polling officials and personnel would be prevented from going to their respective polling stations with election material and devices including EVMs and VVPATs. “We have been demanding that arrangements be made to facilitate Reang refugee voters lodged in Tripura camps to cast their votes in their respective polling stations in the districts concerned in Mizoram, not in the special polling stations at Kanhmun,” he told the media. The NCC threatened to boycott the April 11 Lok Sabha polls and assembly by-election to Aizawl West-I seat if the special polling stations are set up. “We would re-consider our decision if the Election Commission show positive response before April 8,” Vanlalruata said. The NCC has also asked all the owners of commercial vehicles and private vehicles being hired by the Election Commission not to venture out or let their vehicles be used for election-related duties or to transport security forces and polling officials. Terming the NCC’s decision “unfortunate,” state Election Department officials said it is regrettable that the NGOs “made decisions which prejudice democratic activities”. “Mizoram Chief Electoral Officer Ashish Kundra appealed to the civil society groups to review their decision in the greater interest of the democracy,” an official, speaking on the condition of anonymity, said. The Election Commission has been apprised of the matter, the official said. There are around 12,000 eligible voters, from among the 35,000 refugees sheltering in seven relief camps in northern Tripura for the past 22 years after they fled from Mizoram in the wake of communal tensions. Abeda Nanda Baidya, Sub-Divisional Magistrate of Tripura’s Kanchanpur, where some of the refugee camps are located, told IANS over phone that the Election Commission had also set up special polling stations at Kanhmun for the refugees in the Assembly elections last year. The North Tripura district administration would have to arrange vehicles and security to help these tribals to cast their votes, he added. Following an agreement signed in Delhi in July last year, foodgrain and other relief supplies to the Reang refugees was to be stopped from October 1, 2018, to compel them to return to their respective villages in Mizoram. However, following their appeal, it was extended by the Union Home Ministry till March 31, 2019 and then again till September 30.